Welcome to my practice. 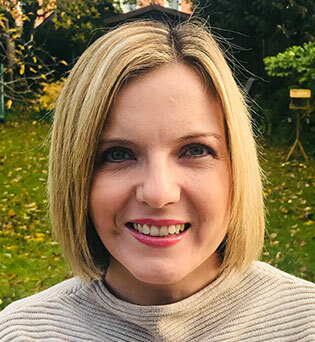 As an experienced Counselling Psychologist, I am committed to offering a wide range of therapies and services, to Adults – individually or as a couple, Young People and Children. As a result of the many years experience I have gained in different settings, I have a wide repertoire of skills and expertise to assist in a diverse range of disorders and difficulties. My approach centres around helping clients to develop a better understanding of their difficulties and acquire the tools and strategies to enable change. The first appointment is usually an assessment session for me to gain more information and establish therapeutic goals, I will then recommend what would be the best treatment going forward. Take a look at the Services and About Me page for more information or contact me if you have any questions or would like to know my rate. I run clinics in Bournemouth and Poole at two discreet and convenient locations. Referrals can come direct through an enquiry by phone or email or more formally via a GP or Psychiatrist. I am also registered with all major Health Insurance companies. I have never felt better with Camilla’s help and nearly fully cured of my OCD, I am a full functioning 12 year old nowadays! Over the last 4 years I have suffered with low mood / anxiety at various times. I have previously received therapy, but the low mood kept returning, which told me that I still had issues that weren’t being addressed. Earlier this year I was referred to Camilla for therapy. She worked with me closely to help me understand what was happening and why. She helped me to understand that actually the reason as to why I was feeling so low was due to loneliness. Camilla gave me the tools and taught me the skills I needed to change my life. Since working with Camilla, I have gone from being an insular, scared and tearful shell, to a capable, committed and happy woman, determined to change her life. No longer do I come home and run into the house before anybody can catch me. No more do I find excuses not to go out, no more do I desperately try to settle down my heart rate when doing the mandatory weekly shop. Now, I look for opportunities to go out, I seek folk to engage with, I seek the positive and life is oh so good. I now know, thanks to Camilla, that if I want my life to change, then my behaviour needs to change. She has been the driving force behind my transformation. I am so grateful to her. My goal when I first saw Camilla was to do all I could to ensure I do not ‘go down’ again. I was getting fed up of thinking I was ok, but then out of the blue, going down, without warning and without explanation. Camilla has helped me achieve that goal. To begin with I would like to mention that I received counseling sessions in the past, but felt that I didn’t connect with the counselor and was therefore more afraid to talk to a stranger and to built up trust. When first being referred to Camilla I was still scared but knew I needed help and support in order to live my life again. Camilla made me feel welcome from the beginning. She asked me questions and also asked about my expectations from the sessions, which I think was important for me in order to deal with issues. Throughout the sessions I chose the things I wanted to talk about and together we found strategies, solutions and different point of views to overcome the issues. I am very grateful for all her help and support and feel relieved from the past and present – having talked about it. I tackle each day as it comes and changed my thinking to a more positive approach to things. So thank you again for helping me through this dark time and for getting my life back in order to appreciate the little things. Being referred to a psychologist could make you feel that there is something wrong with you that you are ashamed to tell anyone else about. Especially if the emotions or feelings that are causing you to need this help are difficult to acknowledge. I found that the therapy with Camilla allowed me to address those issues and talk about how I was feeling and the impact of these on my everyday life. By the end of my sessions, I have noticed a major change in myself and how I deal with challenges ; I am also more confident , more decisive and much calmer. We also identified strategies that I could put in place should I have similar issues arise in the future. I have also shared my experience with my friends and family as it is nothing to be ashamed of. Please be open to the benefits that therapy can bring and it could change your life for the better. I started out therapy, with the expectation that visiting a professional psychotherapist would find an easy fix for the issues that effected my mental health. Instead I was met with a calm and personal examination of my life which helped me to understand how I was feeling instead of trying to change what I was feeling. Camilla worked with me to develop tools that I could take into my every day life, in order to nurture and control my mental illness. Once I realised I had been dealing with body dysmorphia and social anxiety for the majority of my life, it was far more clear how I could work to remove myself from the negative emotions and body image I had created for myself. Now armed with my own coping devices and self realisation I am far more comfortable in social spaces and confident in myself to keep working on my mental health. I felt incredibly nervous when I went to have my first therapy session however within no time at all I was talking about all my issues and was surprised by how easy it was. By the end of the session we had planned out what we would be working on and I felt so much better and somewhat lighter for being able to unburden all my problems on a professional. I am very pleased that I took that first step to seek help as therapy was the best thing that I could have ever done to sort out my problems. I started seeing Camilla at Broad Reach to work on my anxiety and low self-esteem. She was very helpful in giving me the tools and strategies I needed to overcome my problems. The breathing and distraction techniques work brilliantly and I’m so pleased that I asked for help rather than trying to continue managing on my own as I had been doing. I would definitely recommend to anyone that they seek help if they are struggling as it is far better than just trying to read a self-help book. Having a decent job in a FTSE 100 company, last year I found myself suddenly being diagnosed with Reactive Depression and severe anxiety. I couldn’t go out of the house by myself, no socialising, no shopping, no exercise, nothing! I was unable to do even the most basic of tasks without feeling like I was either likely to have a heart attack, my heart was pounding so hard, or wanting the ground to literally open up and swallow me. I remember the first session speaking at 100mph whilst not actually making much sense at all and the following few sessions where I was more up and down than an lift in the Empire State Building! The progress I have made since I started seeing Camilla has been astonishing, whilst I’m still not 100% “me” again, I know that I am getting there. The improvements are there in the fact that I can go jogging again, without worrying about my heart rate increasing too much; can go food shopping, something that is actually now a pleasure?!?! ; I can see my friends again, albeit not in busy places but I am sure with time that will come. Basically what I’m trying to say is that I was a mess, completely broken and now I’m not, this is in no small part thanks to Camilla, I would recommend her to anyone. Before coming to see Camilla I wasn’t sure what to expect and with suffering from anxiety I was worried I may not be able to open up about my feelings with someone I had never met before. Camilla made me feel relaxed straight away as her approach was welcoming and non-judgemental. Therapy exceeded my expectations and I feel more like the ‘old me’ but with improvements. She made me realise that I do not need to change as a person, but adapt how I project myself so that other people treat me better and with respect. Take a look at the services page for more information or contact us if you have any questions. Broad Reach Psychology Practice © 2018. All Rights Reserved.